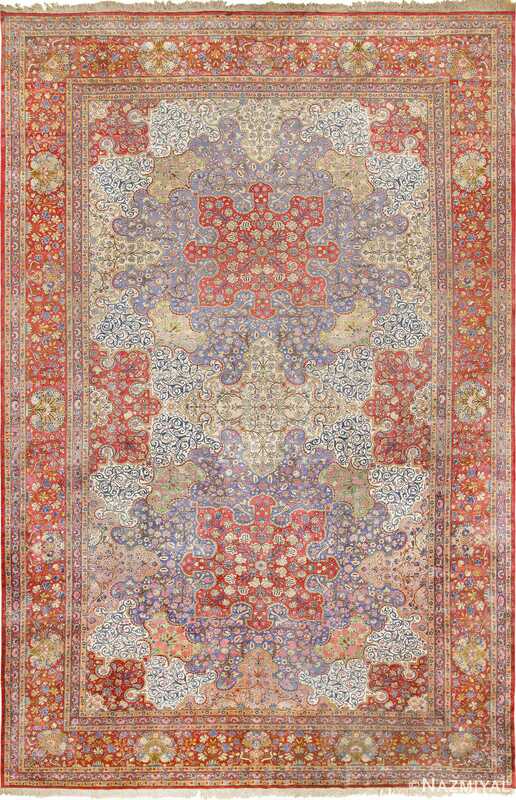 Persian Kashan Dabir Rugs – The Dabir workshop was located in the Persian weaving city of Kashan. 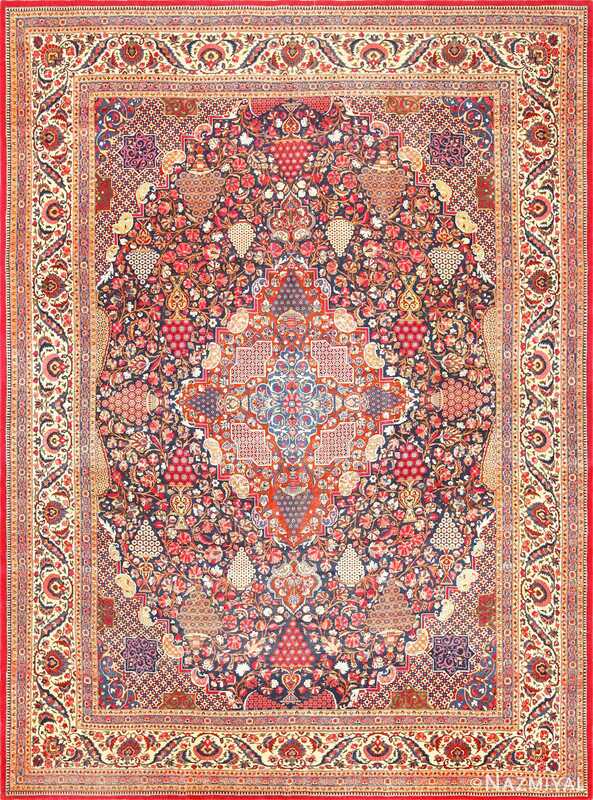 The Dabir Persian rugs produced there were known for being extremely fine and most were woven using the highest grade wool (called “Kork wool“). Since these antique rugs were more expensive when they were first made and since the knotting was so fine, it took far longer to produce these carpets. This is why the production of the Persian Kashan Dabir rugs was quite limited and relatively fewer carpets were woven there. Most but not all the Persian Dabir rugs and carpets were never signed. That said, these finely woven Persian rugs are very easy to recognize as they don’t look like any other type of Persian Oriental rug.